Learning by seeing, hearing and discussing. 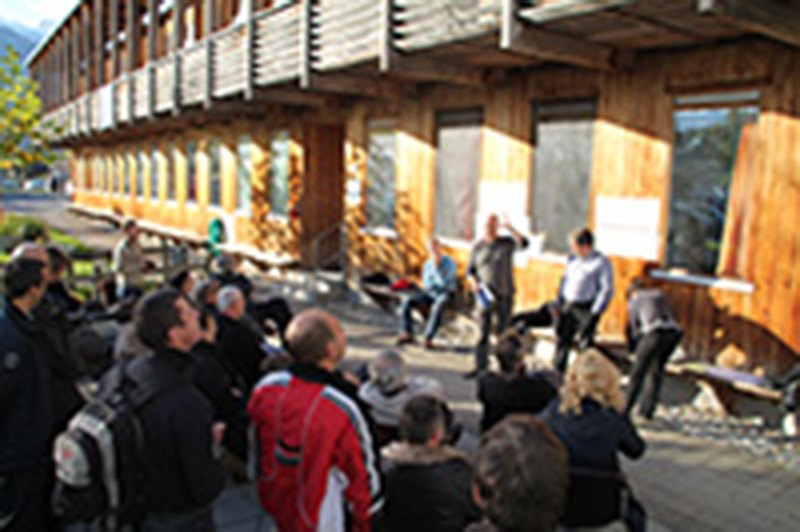 CIPRA International organized from 7th to 9th November 2013 a study trip in Vorarlberg (A) and Liechtenstein on “sustainable building and refurbishment”. Intelligent construction, renovation, energy efficiency, environmental impact of materials, collaboration, support to the municipalities with the service package “sustainable building”: many themes have been discussed and seen by visiting buildings and during discussion with locals. 35 participants from 5 different countries (Slovenia, Austria, Germany, Italy, Switzerland) had the opportunity to interact with architects, craftsmen, engineers, owners and local decision-makers during this 3 days. Construction and renovation of sustainable public buildings is a team-oriented process and requires audacity. This includes decision makers, architects, craftsmen, and of course the local population. 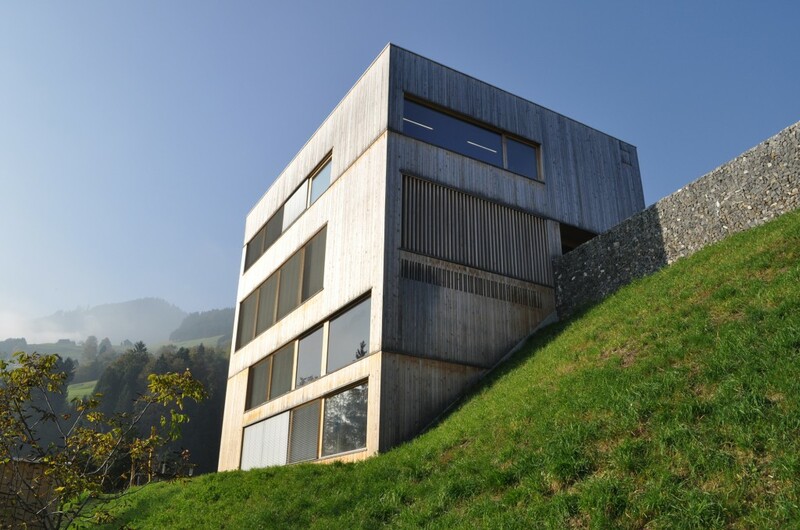 The film shows how European mountain municipalities from Sweden, across the Pyrenees to the Alps are pioneers in the field of sustainable construction. Good practice examples and inspiring ideas invite to follow! The film is available in German, Italian, French and Swedish and has been produced by the actors themselves under the framework of the EU project MountEE. As a first step of the project, the partners needed to identify financial, technical barriers in their regions, in order to develop the best strategy for sustainable building. They identified the main barriers in their regions and described good examples of strategies, funding and sustainable buildings. Both exercises have been an important step in MountEE project, and the results has been discussed both in an international partner meeting and in local meetings. There are six pilot regions: Dalarna, Friuli Venezia-Giulia, Norrbotten – Västerbotten, PNR des Pyrénées Catalanes, Rhône-Alpes and Vorarlberg.